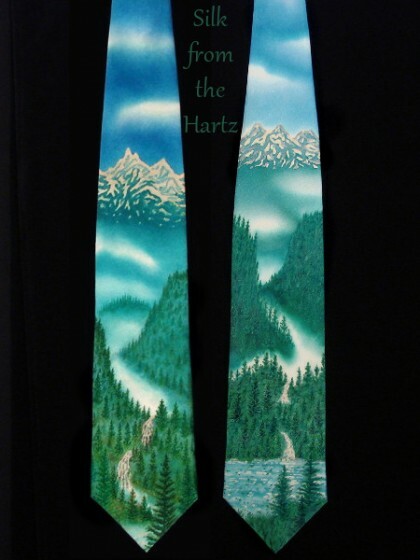 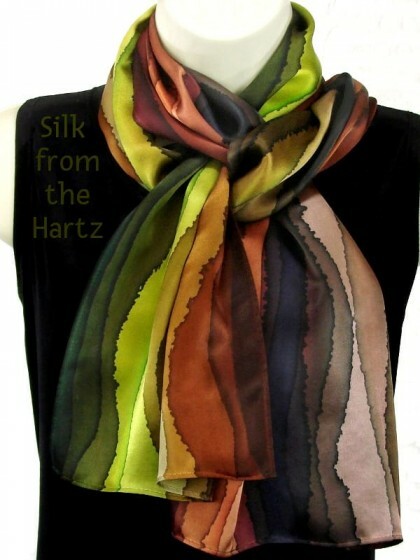 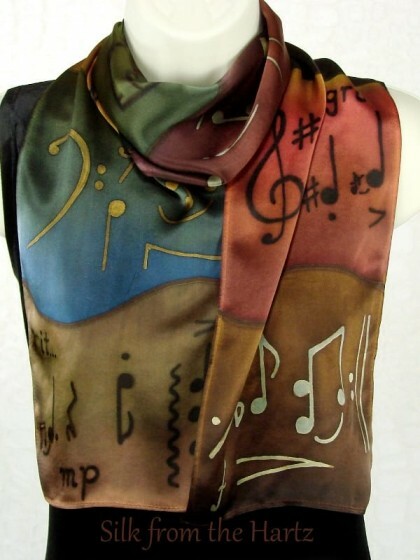 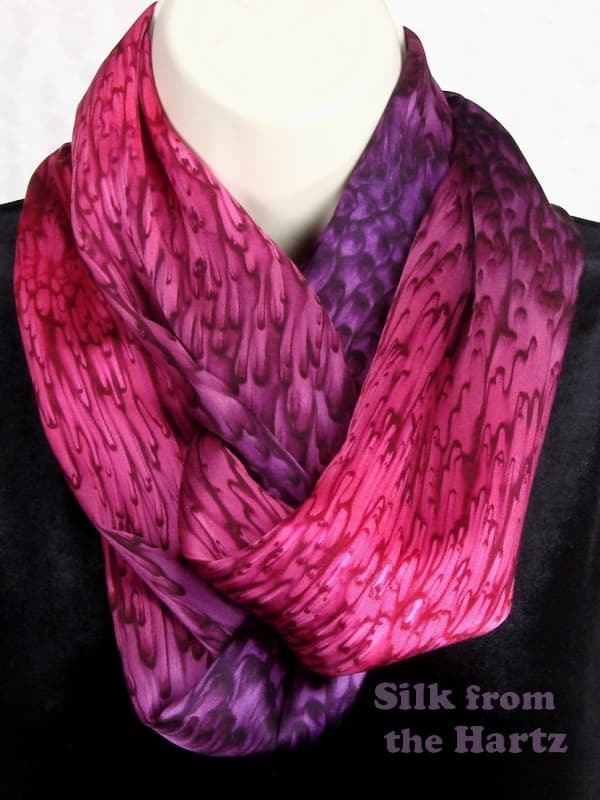 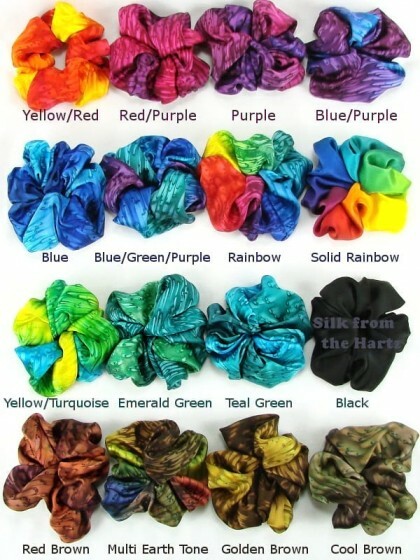 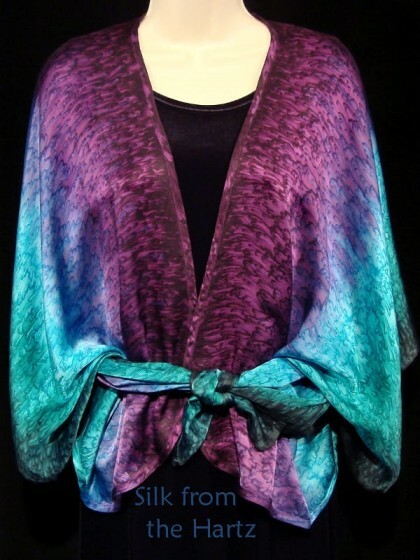 Hand dyed on wonderfully soft silk satin by sprinkling salt on wet dyes, creating a colorful fun fashion accessory for women. 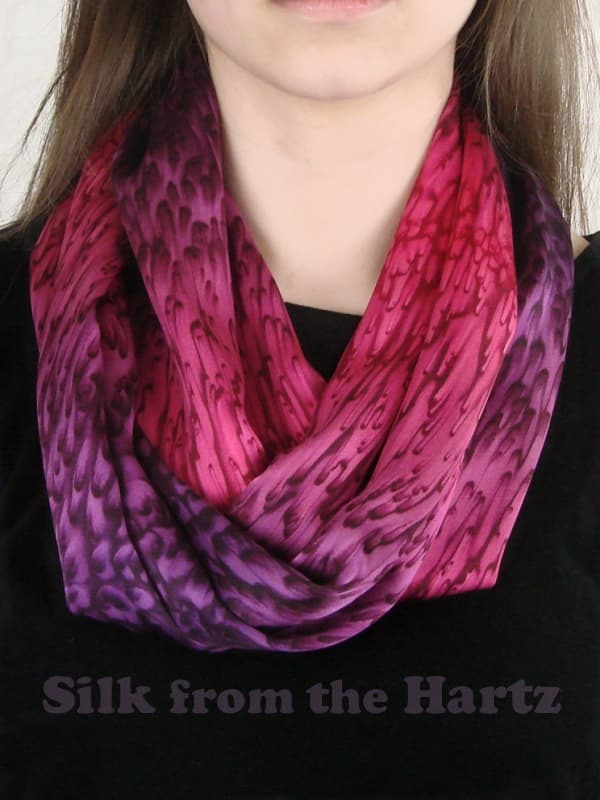 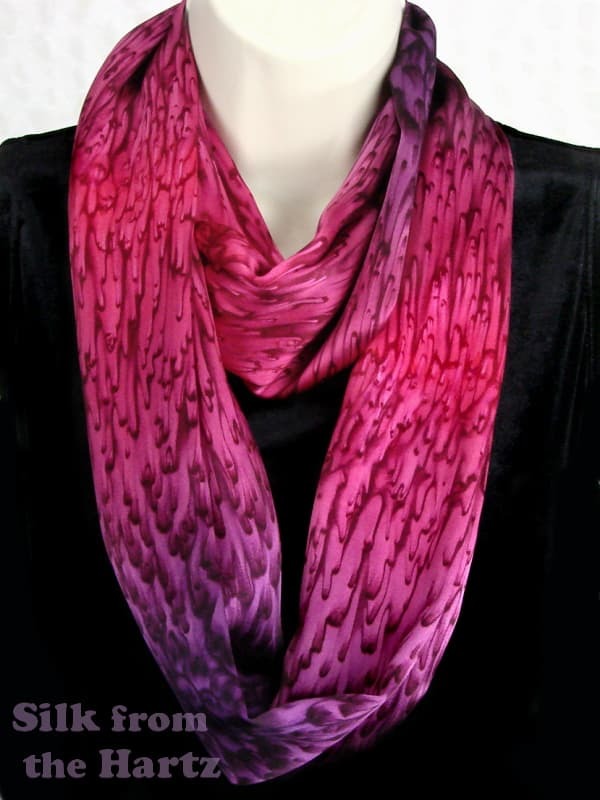 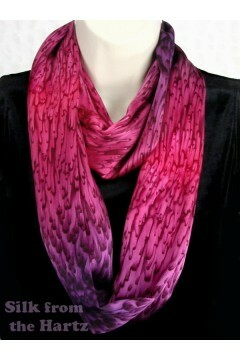 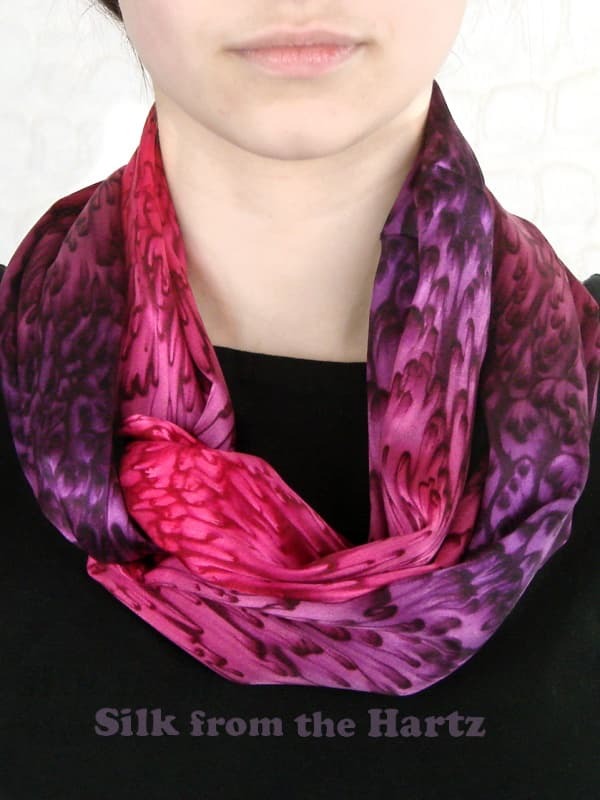 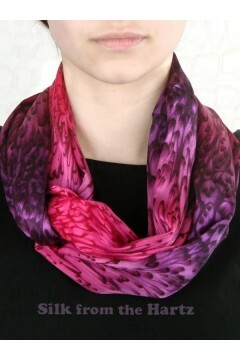 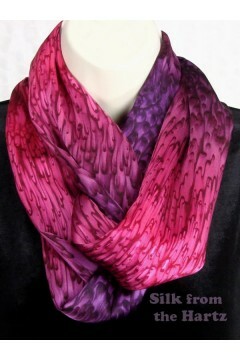 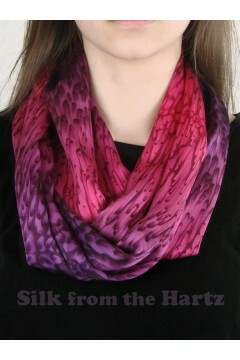 Wear this raspberry red purple ombre infinity loop scarf wrapped simply twice around your neck, or with a twist or two. 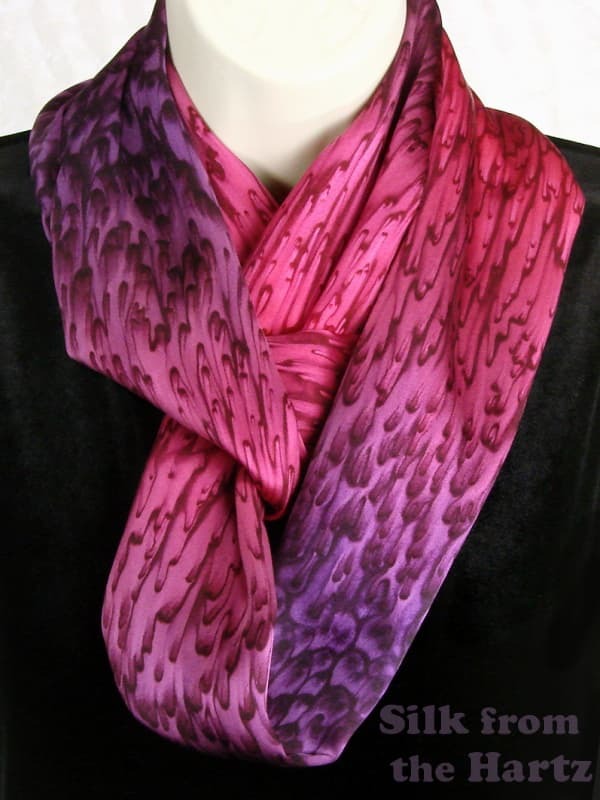 She'll love the sensuous luxury of a soft silk satin infinity scarf, creatively hand dyed for a unique romantic gift idea. 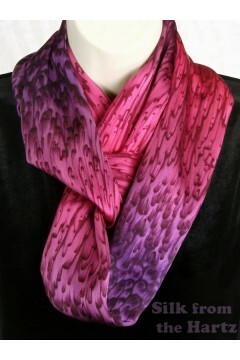 Beautiful rich colors for the woman who loves red and purple.